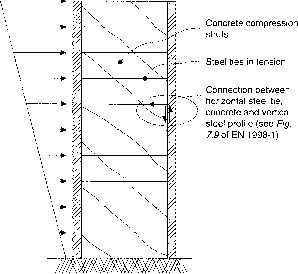 It is well known that a good seismic response of a building is much more easily achievable if Clause 4.2.1(1) its structural system possesses some characteristics that enable a clear and simple structural response under the action of the seismic event. Such characteristics, being basic features of any structural system developed for a building, have to be considered and incorporated at the very earliest phases of the structural design i.e. at the conceptual design phase, which is the root of the design process and influences all other design activities and decisions. Accordingly, the guiding principles for a good conceptual design are dealt with at the start of Section 4.